Although we can't be sure Edgar from Men in Black did not come up with the name for this restaurant, Sugarfire hits the spot for sure maybe even just as hard as Beatrice's sugar water. Perhaps a little more relevant, Snoop Dogg himself showed love to Sugarfire's "Bacon Blunts" last spring while multiple news outlets named the restaurant Best of St. Louis Barbecue in 2016, 2014, and 2013 (it came in second in 2015). Sugarfire literally opened its doors to Subs and Stuff Boston (we arrived before it opened), and then catered to the Big Poppa Provolone with the Baby Daddy Pladdy advertised front and center to sample Sugarfire's succulent selections-suffering succotash (not available in stores). Check out the one-bite review below featuring New York contributor Petey Pablo. 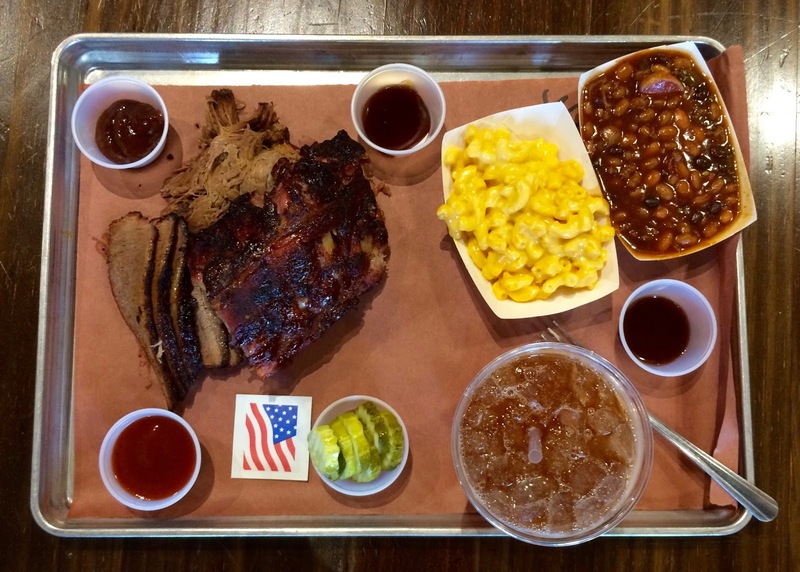 Beside brisket, baby-back ribs, and bulled bork, mac-n-cheese and baked beans shined with a variety of homemade sauces interspersed. An overwhelming amount of Arnie Palmie half and half towered over the meal while six slices of briney, garlicky pickles provided a refreshing sour interruption of the sweet, spicy and savory platter. The wet nap adorned with the red, white and blue stars and stripes not only reminded me to clean my hands but also that this small St. Louis County City once targeted immigrants and those who abetted illegal immigration. Whether "illegal" alien or the kind from the 1997 smash, summer blockbuster starring Vincent D'Onofrio, everyone should have no trouble devouring Sugarfire with the quality of barbecue they are cranking out. They look yummy. Oh my God, so many varieties to choose from. If I ever get a chance to eat there, I would preferably select mac and cheese. 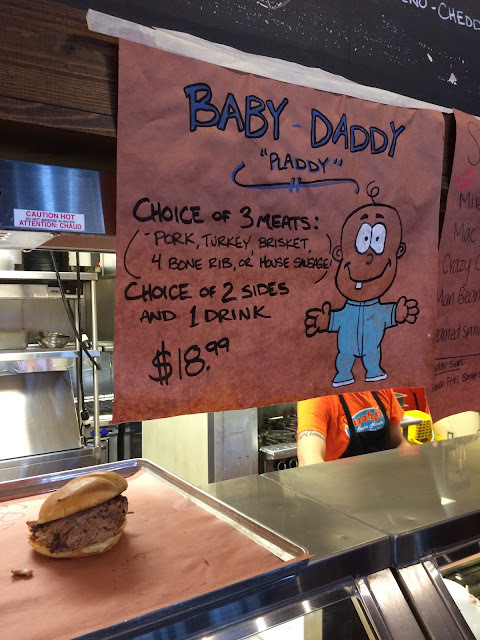 Sugarfire literally opened its doors to Subs and Stuff Boston and then catered to the Big Poppa Provolone with the Baby Daddy Pladdy advertised front and center to sample Sugarfire's succulent selections-suffering succotash.